Is Your Business Stuck In A Plateau? Is This The Year You’re Going To Make Your Breakthrough? Business To That Next Level! Break Through And Achieve The Success You Know Is Possible! You’re long past the start-up phase and you have a good thing going with the organisation you’ve built, but it feels like you’ve hit a wall instead of climbing a ladder. Whether it’s the inability to create a forward-looking culture of innovation within the company, not understanding how technology can best meet your goals or one of a thousand other reasons, know that you’re in good company—it happens to the best of us. Sometimes it can be hard to get an accurate handle on the true state of your productivity and efficiency when you’re in a growth phase because of the positives of getting more clients and achieving more business. With growth phase plateaus, you can be left in a precarious situation if you haven’t been paying attention to how things have been evolving in your organisation. When is it time to take a step back and evaluate if you’re the best person to take the company to the next level? Why does everybody within your organisation seem to work hard, but never be on the same page with stated goals and values? Aside from your immediate competitors, how can you identify those “out of left field” disruptors that may enter your market? If most of your revenue is dependent on a small number of clients, what can you do reduce risk and diversify? How are you supposed to manage governance, risk and compliance if that’s never been part of your organisation’s culture? There’s a bit of an overused saying, “What got you here won’t get you there,” but it’s never been truer in a world where market disruptors are coming out of left field (How many taxicab companies ever saw Uber on the horizon?) and technology is changing faster than ever before. Do you find yourself thinking back to the early days when you started things and had very few on your staff and little support? Isn’t it odd to think that was an easier time even though you probably wore all the business hats from sales to product development and customer service to operations? Those days are done and it’s precisely because you’ve done the RIGHT things that you’ve reached your current level of success. But what happens now? How do you prepare to go to the next level? 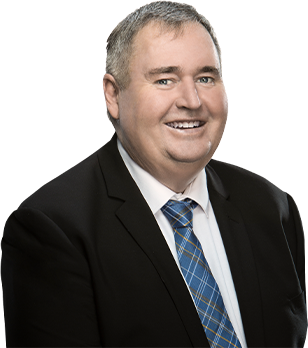 David P. Nixon is Australia’s Authority on Unleashing Growth Barriers for SMEs and has been helping organisations realise their potential for nearly 20 years. David has the skill and experience both as the owner of his own consulting business and as someone who has been around small businesses his entire life to help see you to the next level of growth. David’s education goes back to when he was a small child. His family was a true bunch of entrepreneurs, having businesses in meat transport, sand extraction and buses and coaches to name just a few. David’s father didn’t finish high school, but he was an extremely successful man with an extremely pragmatic work ethic. David believes that this drive was part of his dad’s DNA and thankfully David inherited it. He began working as soon as he was legally able, and when it came time for him and his siblings to head to university, they always held full-time jobs at the same time. David’s first professional roles came at an early age. He spent his early career across a wide range of utilities and local government organisations, developing skills in project management, asset management and organisational development. As David went on to form his own consulting firm, Nixon Clarity, he continued to work with government and private utility organisations, but also began branching out and working with start-ups, scale-ups and other small-to-medium size businesses. David found that to be the most rewarding work he had done in his professional career. In his new book, Growing Up! 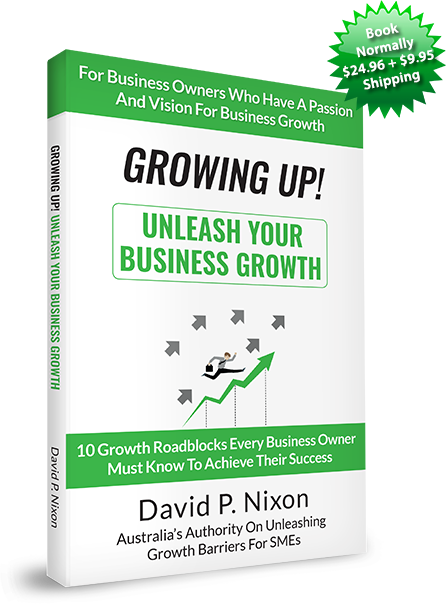 Unleash Your Business Growth, David shares the 10 growth roadblocks that those business owners who have seen a leveling-off must know in order to break through and achieve the success they know is possible. David’s success rate with clients is proven, and in this book, he’ll help you get exactly what you deserve.